Pastors, lay workers and those involved in ministry are able to set time aside in our Retreat Hut. Located in a quiet corner of our property the Retreat Hut provides peace and tranquility for guests in comfort. 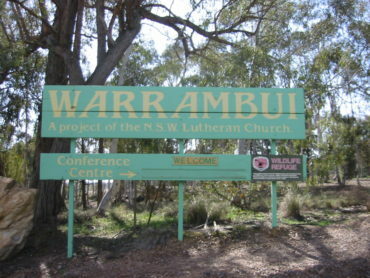 Warrambui was the first Lutheran Church campsite in Australia to establish an intern program in 1992. Since then, over 100 young people have come here to serve. Turning Point Ministries (TPM) is the child, youth and family ministry of the NSW Lutheran Church. The NSW Lutheran Church has a long history of youth camps and the facilities at Warrambui grew out of this ministry. 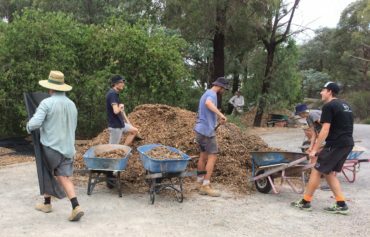 Warrambui is thankful for the service of many volunteers through regular working bees and Work Camps. Warrambui has a rich history spanning nearly 50 years!